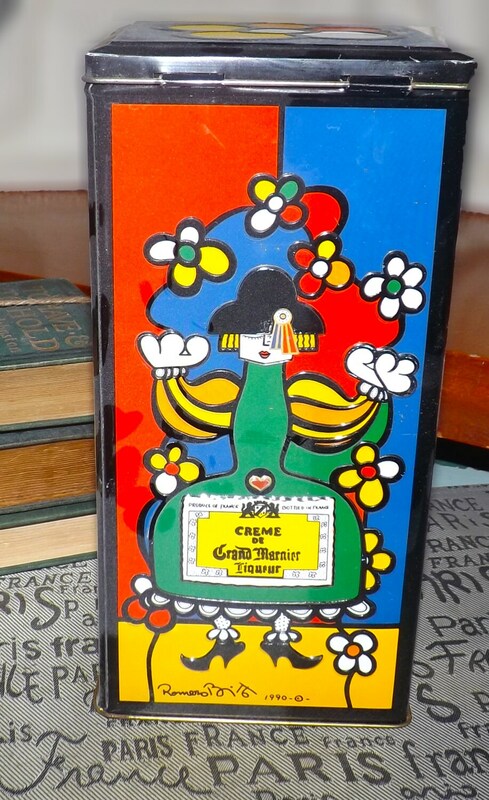 Vintage (mid 1990s) Romero Britto lithographed Creme de Grand Marnier tin signed by Romero Britto. 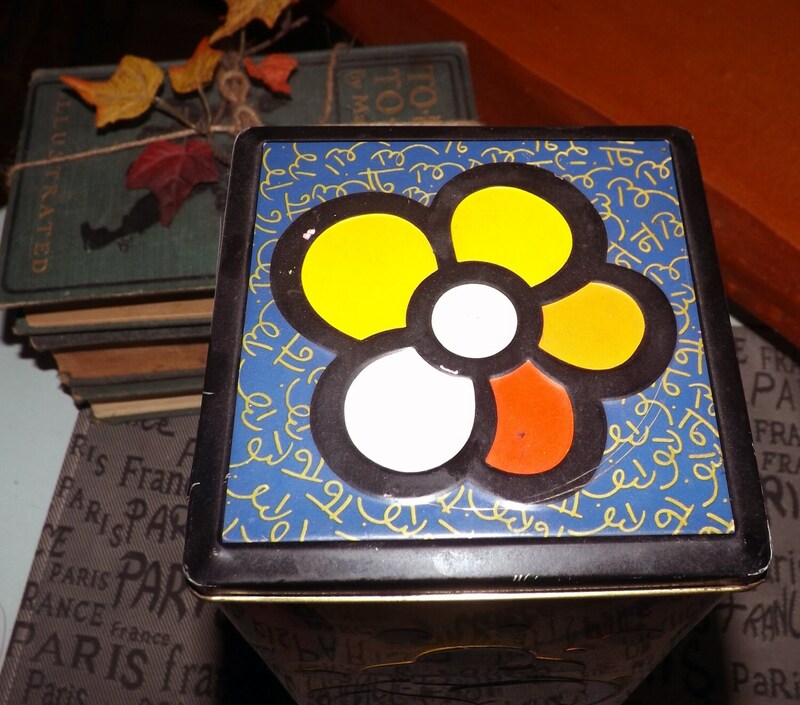 Hinged lid. Fun Retro. 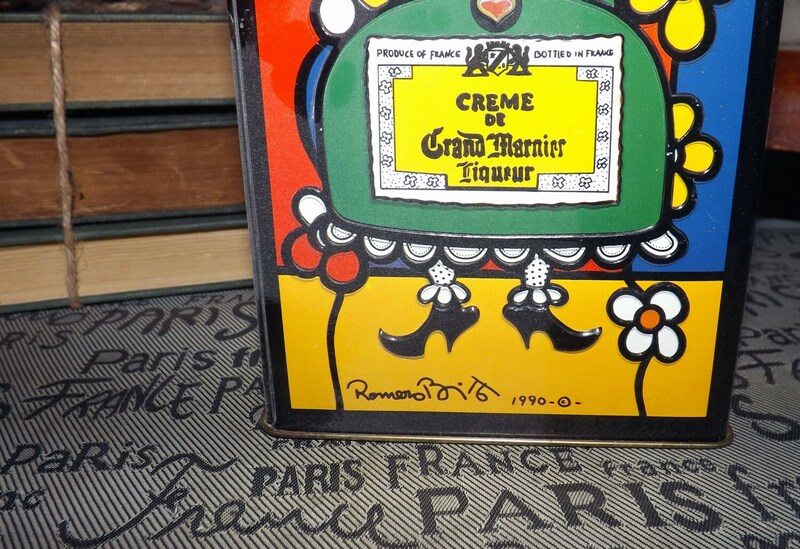 Vintage (mid 1990s) Creme de Grand Marnier collectible lithographed tin signed by Romero Britto and featuring his artwork. In EXCELLENT! condition with NO! nicks or dents and NO! rust. 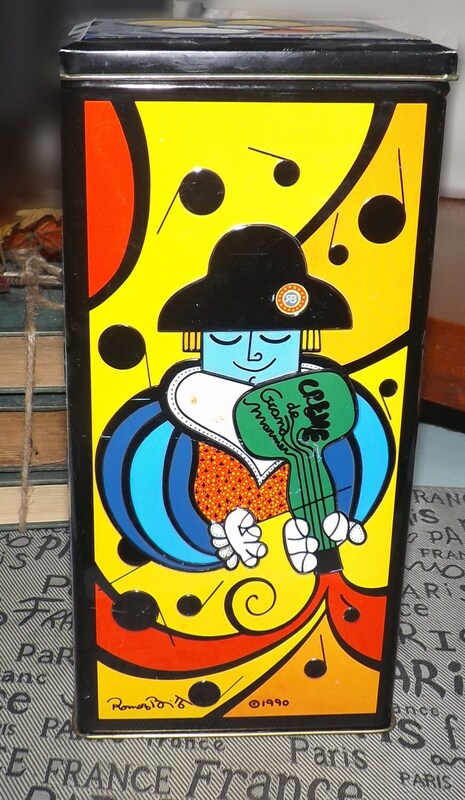 The tin does have a few random and LIGHT scratches (please review the posted photos for a complete visual of the tin) but all of the Britto artwork is bright and vibrant, as is the signature of Romero and date at the bottom. 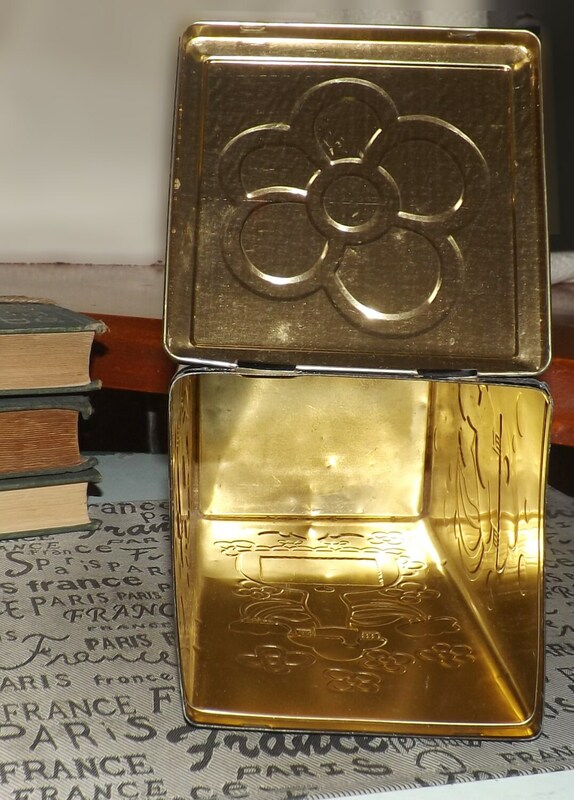 The hinged lid opens and closes well and securely. Approximate measurements: 9-1/2" H x 5" W x 6" D.